Airlines pricing structure is very complicated - these air travel booking tips will assist you to navigate your way around it, i.e. where and when to book your flight and when to travel. We also explore how these and other factors influence the price of your flights. Where To Book Your Flights? Booking flights online is increasingly popular. Not surprisingly as difficult to beat the convenience of being able to compare prices and availability in the comfort of your own home and even with your travel companions close to you. Just be careful not to make any mistakes as they can be difficult, and sometimes costly to rectify. There are though some benefits of booking with travel agent or by phone, especially if you have a complex travel itinerary, like multiple stopovers. Specialists can offer you expert advice and sometimes they can find cheaper deals than you can, as they know all the tricks in the “complex jungle of airline pricing structure”. If you are booking your flight on-line, you will have great number of airlines to choose from. To compare prices and save time it is convenient to use flight comparison sites, or aggregator sites. You can find them through Travel Search Engines. If you are using travel agent or phoning your airline of choice directly, you can also use travel search engines to find the necessary contact details. When To Book Your Flights? Should you aim for “early bird” discounts and book early or should you try to get last minute deal and book close to your travel date. Like always there are pros and cons whichever booking method you choose. Many airlines charge booking fee if you book over the phone so always ask before you make your reservation if there is a surcharge for booking over the phone instead of on-line. Airline travel tips recommend to book early if you are travelling during peak periods (like over Christmas) or for special high demand event (like festival or big sporting event). However, for standard vacations the best results can usually be achieved somewhere in between booking really early or really late. Most airlines allow you to make air travel booking up to 330 days in advance but the prices seem to be similar as if you book only one month in advance. After that prices tend to go up, i.e. within a month from your travel date. Booking flights 6-8 weeks prior to travelling will usually get you satisfying results. It can also matter which day of the week you book your flight. Airline ticket prices fluctuate up and down all the time but online travel agents tend to agree that they are on average highest on weekends. Travel experts estimate the best time to buy airline tickets are on Tuesdays, followed by Wednesdays. It can even matter what time of the day you are searching for your flight. Maybe the biggest air travel booking secret is that is that some airlines reload their computers with cancellations at the end of the day so you might want to try hunting for cheap air travel deals just after midnight. When you travel can seriously affect how cheap air travel you can find. Being flexible about your travel dates is usually the most important factor when searching for the cheap air travel. Avoid peak travel dates if you possibly can, like the day before Christmas Eve (December 23), the day after Christmas Day (December 26), the day after New Year's Day (January 2), the Wednesday before Easter, and any dates around local holidays. Finding cheap air travel on those dates is highly unlikely. Most of those factors can also affect the hotel price you have to pay. For example, hotel prices tend to go up over peak periods like Christmas and Easter. The longer you stay usually gets the price per night down and some hotels offer discounted rates during the week, while other offer special weekend rates. Find out more about how to find the Right Hotel At The Right Price. There are also peak periods, which you should avoid if you can, like during school holidays or special events (Olympics, World Cup, etc). Most airlines offer discounts on their fares if you stay over Saturday night. Travelling Monday through Thursday on the other hand is generally cheaper than travelling Friday through Sunday. This applies for both departure and return travel date. Most business people travel on Mondays and Fridays so travelling on Tuesday can save you some money. The length of your stay can affect the price as prices often go up in stages. So staying 29 or 31 days can make a difference to the price, so try different dates when looking for air cheap flight tip travel deals. The prices are also different during each day so flying on the “right” time of the day is important when looking for cheap air travel. Avoid peak hours, like early mornings, late afternoons / early evenings. The cheapest times are usually during the mid day, sometimes also late at night. You would expect connection flights to be cheaper than non-stop flights but that is though not always the case. If connection flight is the option you are going for make sure you have sufficient time between the flights. If you have a connection flight, airline travel tips recommend checking in advance the layout of your connecting airport. You can often do this through travel search engines in the comfort of your own home prior to travelling but if not, then the in-flight magazine should include a map of the airport terminal. Air travel booking tips recommend avoiding booking connection flights with less than an hour between them, especially if you know your connecting airport has more than one terminal. In addition, if you are flying with separate airlines as they might not share gate or even terminal. 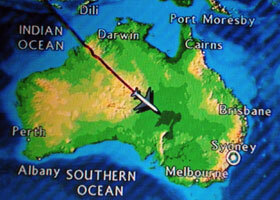 If you really have to be somewhere on a certain time or day then non-stop flight is a safer option. Many discount airlines have their base at the smaller less popular airports so you might find better deals if you extend your airport search. Most of the travel search engines are able to search for the lowest fares using multiple airports within large metropolitan areas. Airlines only allocate small number of their seats for travel award point travels (air-miles). So when using your travel award point's book as early as you possibly can. Anyway, many airlines require you to book award fares within certain time before travelling. Most airlines load their award fares 330 days in advance. The majority of airlines charge a small fee if you book award fares over the phone or in person. You can usually avoid this fee by making your award air travel booking on-line. There are so many things To Do Before You Travel, like making sure all your travel documents are up to date, your money matters are in order and that you have taken all necessary health precautions. When looking for cheap air travel deal you must be careful that you consider all fees. Discount airlines usually charge for all extras that can be included in the price of non-discount airlines. Air travel booking tips recommend checking if they charge you extra for check-in luggage or if they charge for in-flight food and entertainment. Some discount airlines even charge for hand luggage and for checking in... which for sure isn't optional and should be included in the price. Air travel booking tips recommend to check if all taxes, fees, charges and surcharges are included in the price or not. We have sometimes found the prices between discount airlines and non-discount airlines to be quite similar when we have included all the extra charges. Finally yet importantly... don't ignore follow up e-mails from your travel provider, they might be alerting you of changes to your flight schedule. Also, make sure these post don't get into your spam filter as your travel provider has met its obligation to you as a customer by sending you the e-mail. Claiming you never got the e-mail is unlikely to get you any sympathy and even less likely to get you any refund. Not everyone is aware that there is a difference between direct and non-stop flight. Non-stop flight is as the name indicates... flight that doesn't stop on the way. Direct flight on the other hand can make stop, or even stops, on the way to drop off or pick up passengers. The most common definition of direct flight is an air travel that carries a single flight number but (unlike a non-stop flight) involves one or more stopovers although it (unlike an indirect flight) does not involve a change of aircraft. Should You Use For Air Travel Booking? There are many travel search engines and travel booking sites available online, so which one should you use? We at Top Travel Tips have researched and used several travel search engines and travel booking sites for our travels over the years. Why do we use several sites? Because different sites have different focus, which means one site is unlikely to give the best air travel booking result all the time. For more information, see Which Travel Booking Sites To Use To Find The Best Vacation Deals. This article lists some popular travel booking sites and travel search engines with short summary of the services they offer and highlighting each specialty. We hope these air travel booking tips will be helpful when booking your cheap flights online.